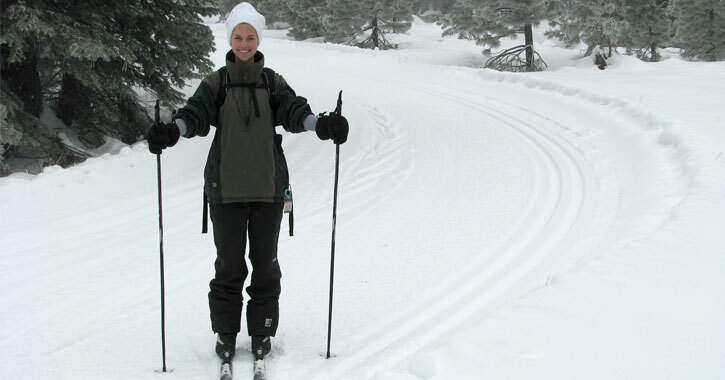 Enjoy a fun workout while taking in the great outdoors - go cross-country skiing or snowshoeing in the Saratoga region! There are plenty of great trails and scenery near Saratoga and Albany. Saratoga Spa State Park is our top pick for scenic nordic skiing and snowshoeing in the Saratoga region because of its timeless beauty and open terrain. Enjoy 12 miles of trails to take in the beautiful winter scenery (trail maps are available at the Park Office). Snowshoe rentals are also available through the Park Office (open every day 8:30am-4:30pm). Snowshoe rentals are $5 for a half day, or $10 for a full day. Coles Woods Ski Trails in Glens Falls offers day and night skiing with trails lit until 10:00pm. Lapland Lake Nordic Vacation Center offers an award-winning ski center with 50km of cross-country ski and snowshoe trails for all abilities from beginner to expert. Into the Woods Farm features goat yoga during the warmer months and private and weekly guided snowshoe adventures in winter. Gore Mountain in the Adirondacks offers several groomed cross-country ski trails. Garnet Hill Lodge offers guided cross-country skiing adventures and challenging cross-country skiing over miles of back country ski trails. Wilton Wildlife Preserve has volunteers who groom 3.5 miles of trails on the Camp Saratoga and Opdahl Farm parcels. These trails have set tracks for classic skiing and a rolled area for skate skiing and snowshoeing. Killington offers many great groomed and ungroomed trails and paths as well as snowshoeing opportunities. Schenectady County Forest in Duanesburg has trails in a challenging and beautiful woodland preserve - great for snowshoeing and cross-country skiing.